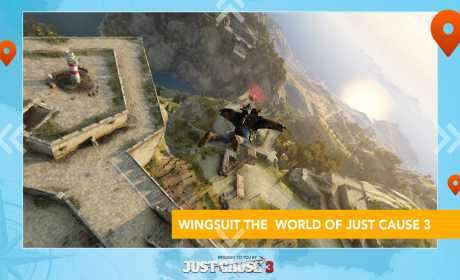 Download the Just Cause 3 – WingSuit Experience for free now and explore the beautiful Mediterranean islands of Medici from the skies, and in complete 360 degrees. 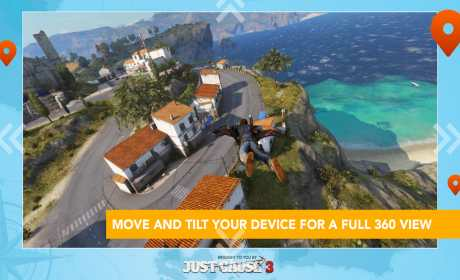 This world-first app combines real in-engine capture from upcoming game, Just Cause 3, with Mindlight’s unique 360-degree video capture technology to let you discover Medici through a thrilling wingsuit ride. Look around the world by moving your phone to view in any direction – it’s that simple! A Virtual Reality option is included so you can feel what it’s like to soar through the air hundreds of feet above ground! 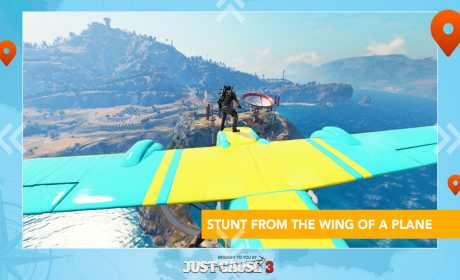 With extra features giving you more background on Medici’s key towns and history, plus access to extra content and with more updates to come – don’t miss this incredible free journey into the stunning world of upcoming game, Just Cause 3.